Set goals. Track results. Grow your business. 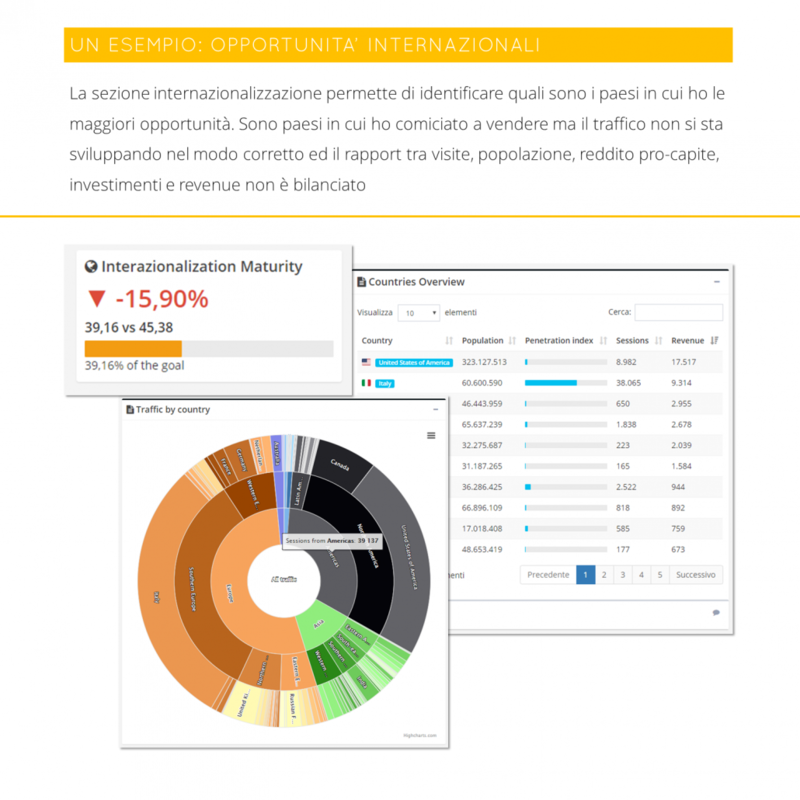 Ensemble is a digital transformation and digital knowledge transfer tool. 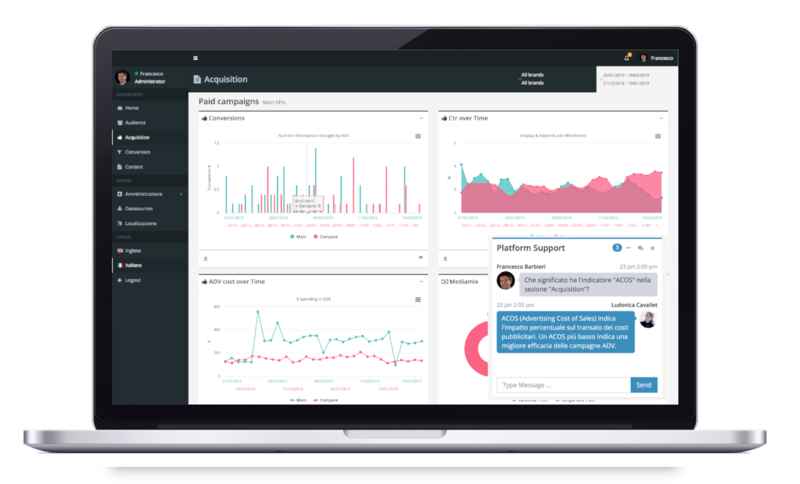 With Ensemble, you can set, track and monitor all your company’s activities, share results, and enjoy a detailed overview of your KPIs – helping you make the right decisions. Ensemble is your compass in the digital ocean. Stakeholders gain detailed understanding of the company’s performance in relation to shared goals and KPIs. 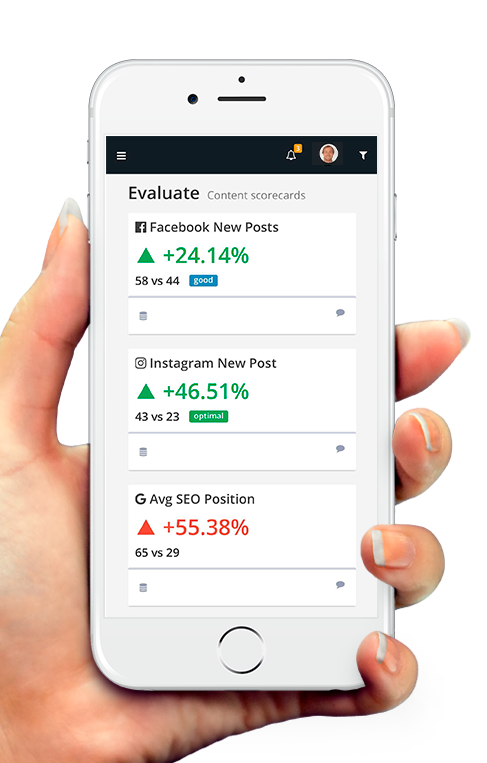 Ensemble provides both a clear overview of your company’s performance, as well as granular insights into single activities. Data from a variety of sources (DEMs, E-commerce, ERP, analytics, social media, etc.) and across touchpoints (website, apps, in-store software, etc.) is effortlessly collected and aggregated. Every piece of data is saved and tracked, regardless of historical data availability at the source. 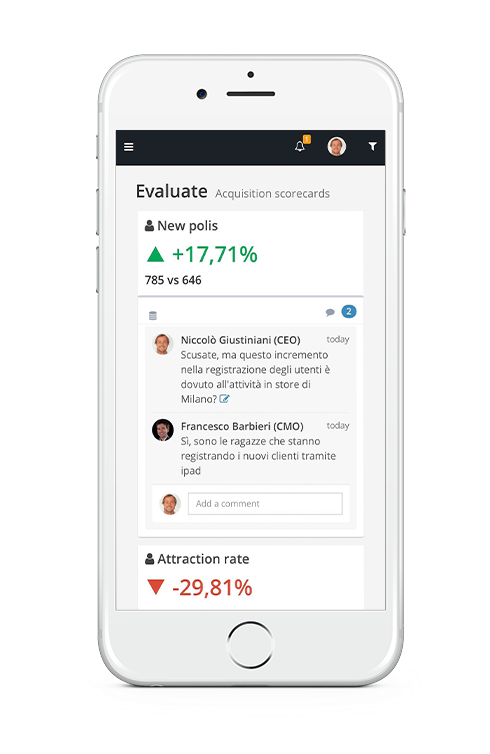 With Ensemble, evaluation models can be easily shared across your company, ensuring objective performance assessments. 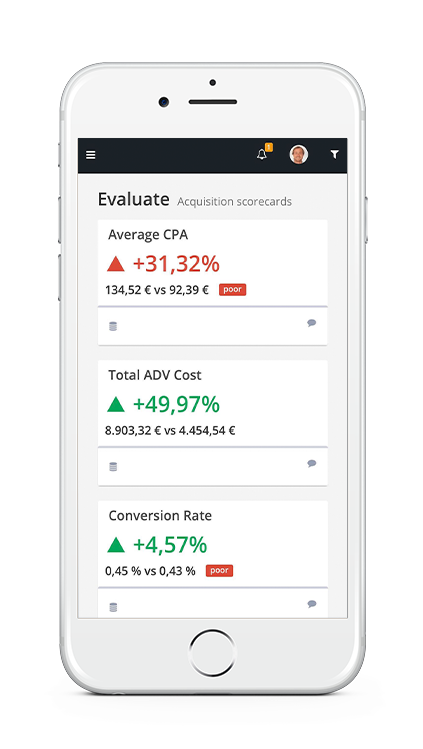 You can also create ‘scorecards’ for each of your company’s KPIs. 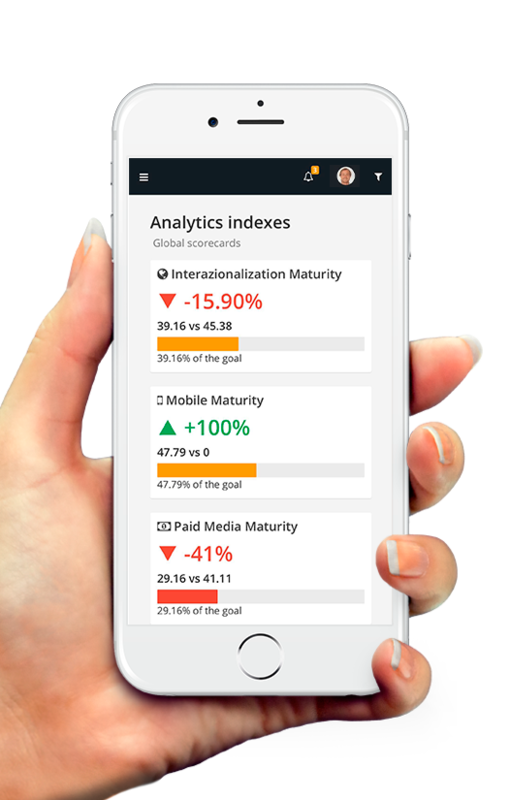 Short-term goals and overall, long-term performance: with Ensemble you can track results on any scale, in no time. Sharing results, both positive and negative, prevents information silos within your company, while ensuring knowledge transfer across all offices and departments. Everyone, from the CEO to your external partners and suppliers, can share, learn and ask for information. 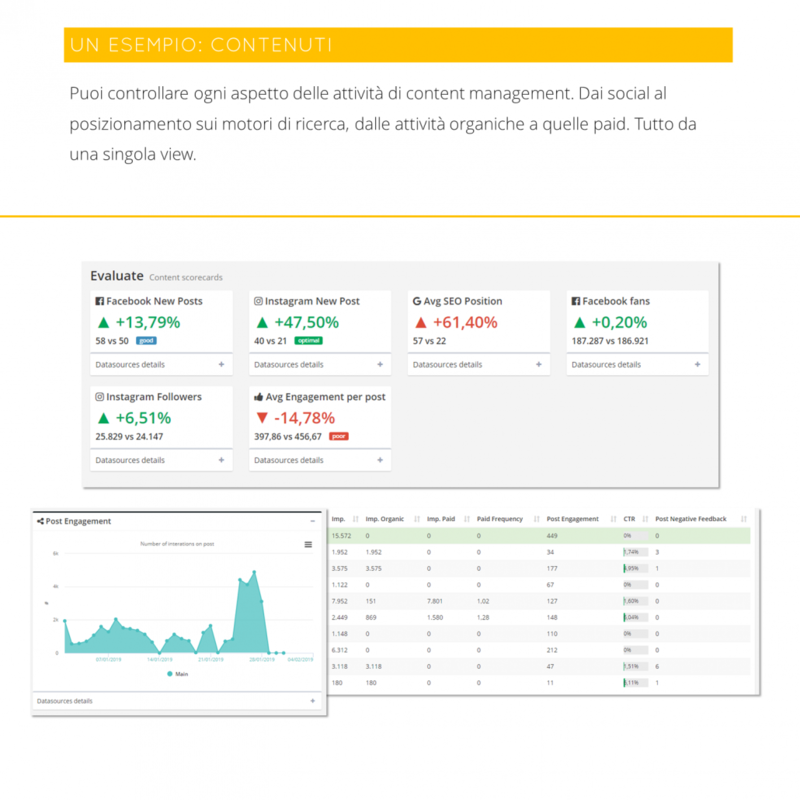 Ensemble clarifies data and makes it shareable and understandable by all – boosting the evolution of your company. 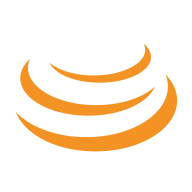 The Ensemble database structure is designed to allow for simple organization and comparison between data from a variety of sources. A single log-in session is all you need to access all the information you need. All leading data providers are natively integrated. But you can easily add a custom data source or connect to any software via API. 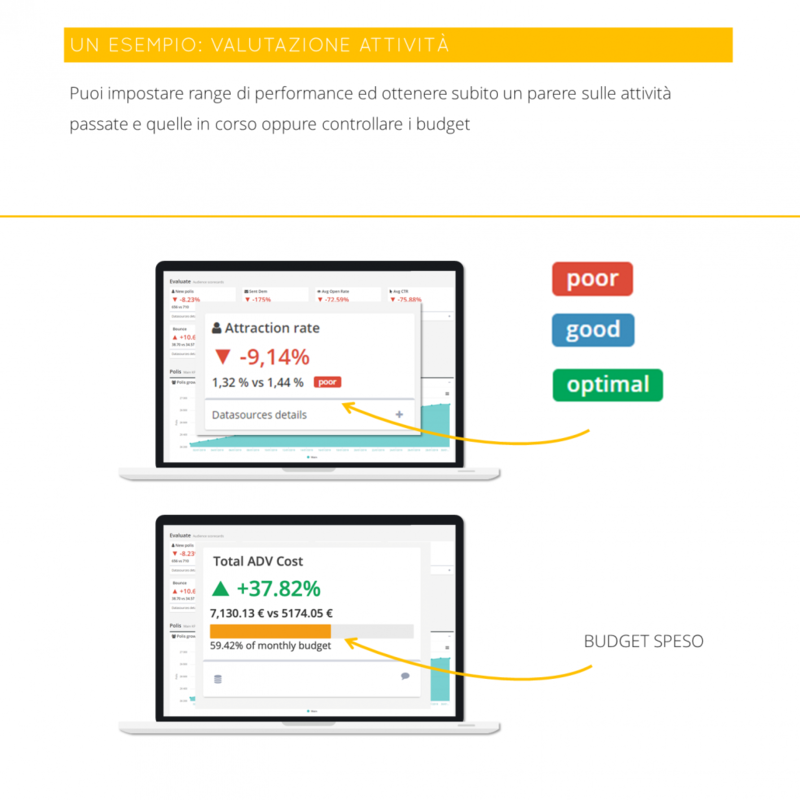 Permette agli stakeholders di capire se l’azienda sta performando nel modo corretto secondo obiettivi condivisi. 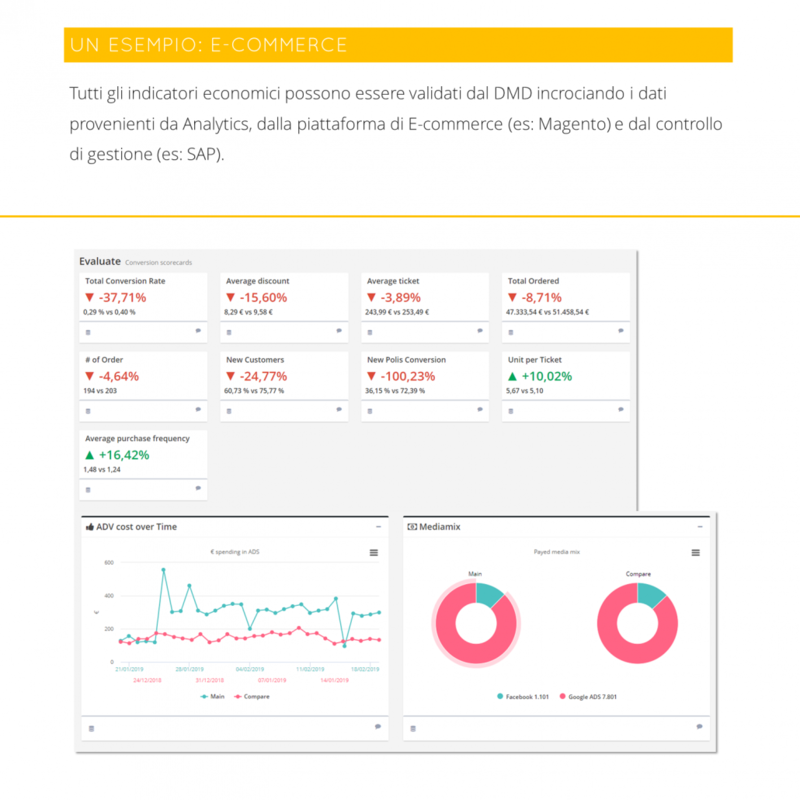 Permette di misurare una performance multi datasource (Dem, E-commerce, ERP, Analytics, Social) e multi touchpoint (Sito, App, In-store software). 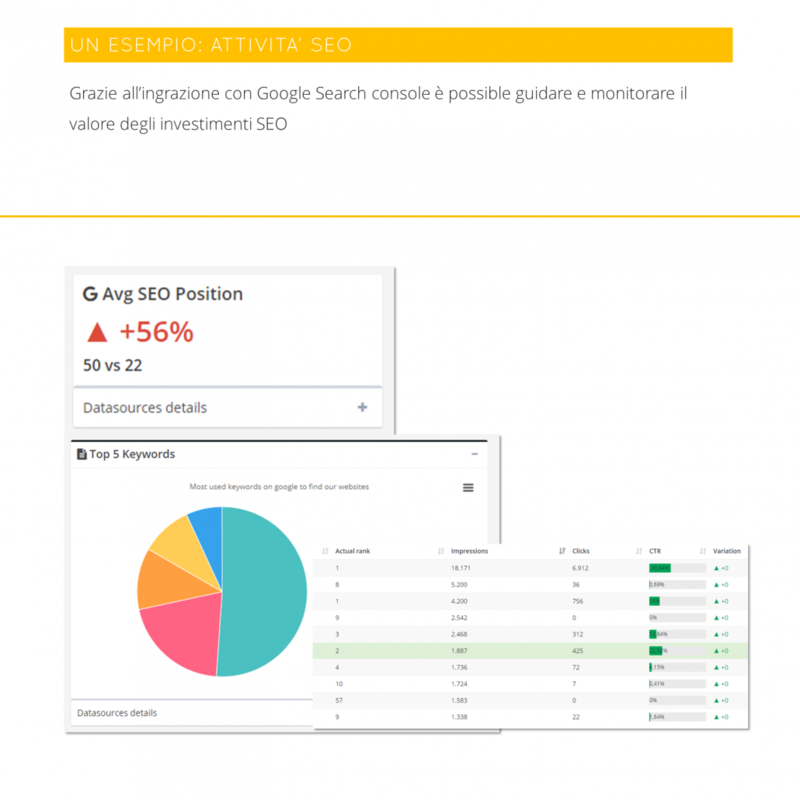 Permette di avere una visione complessiva ma anche di dettaglio delle singole specifiche attività. 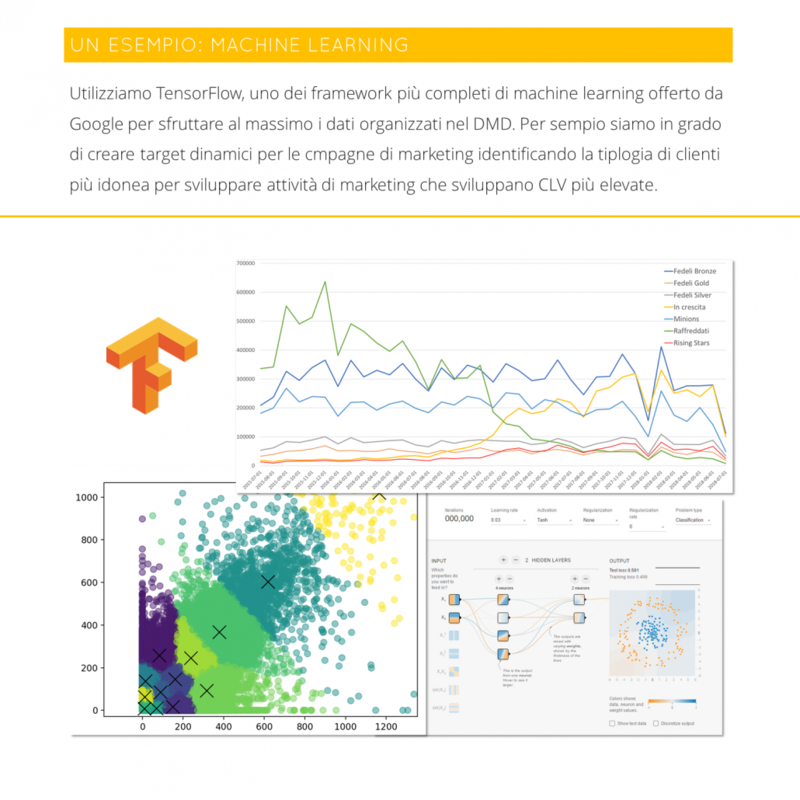 Salva e storicizza ogni informazione e variazione indipendentemente dalla disponibilità di dati storici sulle fonti collegate. © Copyright - Overture S.r.l.